For more than a month, northern Thailand has been experiencing unhealthy, elevated levels of smoke and air pollution. 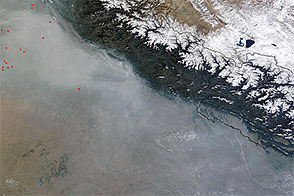 The thick haze is a result of wildfires and prescribed burning by farmers clearing their land for the planting season. Meteorologists expect the unhealthy air quality to last into May. 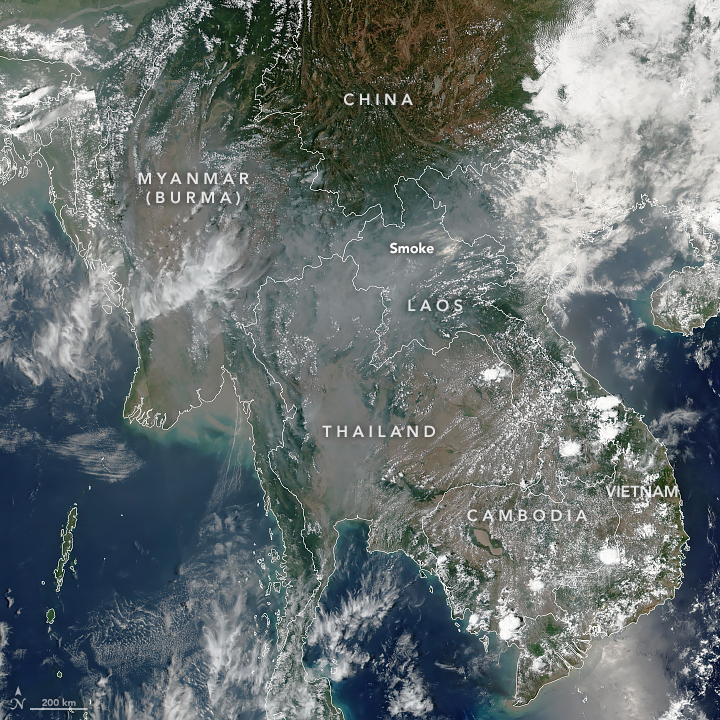 This image shows smoke and haze blanketing portions of southeastern Asia on April 12, 2019, as observed by the Visible Infrared Imaging Radiometer Suite (VIIRS) on the Suomi NPP satellite. At 9 a.m. local time on April 12, Thailand’s Pollution Control Department reported that nine provinces were experiencing “unhealthy” or “very unhealthy” air quality—notably around Chiang Rai and Chiang Mai, which is surrounded by mountains that trap the pollution in the area. 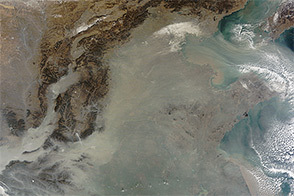 NASA Earth Observatory image by Joshua Stevens, using VIIRS data from the Suomi National Polar-orbiting Partnership. Text by Kasha Patel. Bangkok Post (2019, April 12) Hazardous smog again in North. Accessed April 12, 2019. The Thaiger (2019, April 1) Chiang Mai, Chiang Rai suffer haze and smoke until at least May. Accessed April 12, 2019. 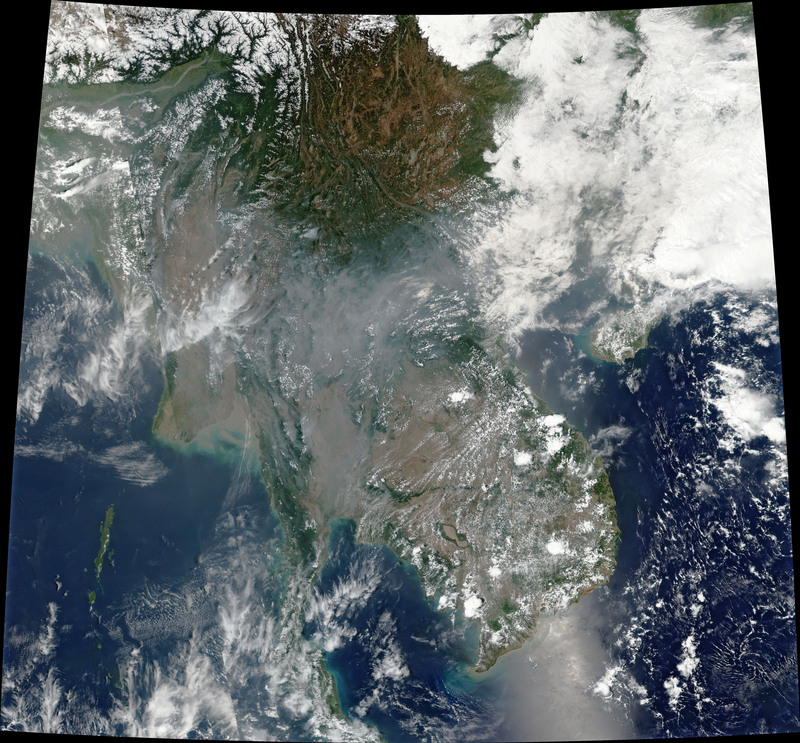 The Thaiger (2019, March 15) Thailand’s north continues to choke under record smoke levels Accessed April 12, 2019. Pollution Control Department: Air Quality and Noise Management Bureau (2019, April 12) Thailand’s air quality and situation reports. Accessed April 12, 2019. Pollution Control Department (2019, April 12) Air quality situation in northern Thailand. Accessed April 12, 2019.